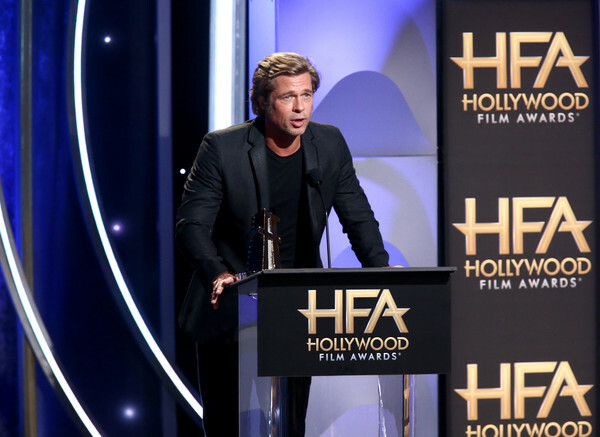 'Crazy hot' Brad Pitt brings heat to Hollywood Film Awards - Oh No They Didn't! Brad Pitt is back and looking "crazy hot." 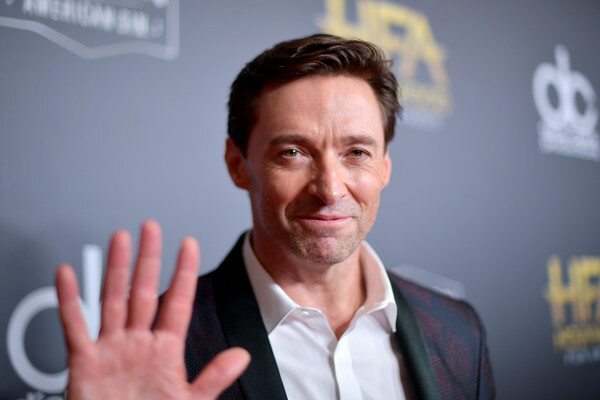 He made a rare but impressive public appearance at Sunday's Hollywood Film Awards to present an award to director Felix van Groeningen for "Beautiful Boy." Did he have a fever or something? Does not compute. They kind of all look awful tbh. 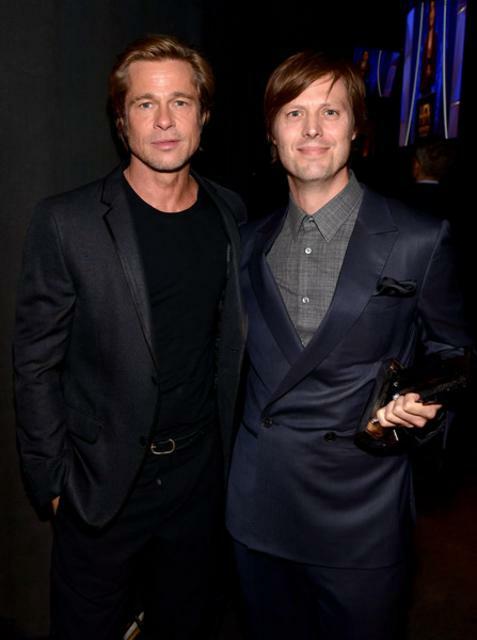 And damn, Brad really is morphing into Robert Redford. I immediately saw Robert Redford as well. Hey, Budget-Redford, if at all. I guess when white guys around his age look like a microwaved mozzarella stick, you could call him "crazy hot". But he looks like an attractive older man who takes care of himself. hugh can choke. also if nicole really loved her husband she'd tell him to kill the 2000s Rock of Love mess he has on his head. He has never been hot. He always looked like a chipmunk storing food in his mouth for later.